Sidebar: When I set this blog up almost a year ago, I chose this theme completely unaware that Scott had done the same and didn’t realize it until months later. Great minds think alike? Either that or I just rode his coattails all the way to GitHub. While I won’t go into great detail on the matter, I do want to take a moment to discuss GitHub’s recruitment process. All of my interview experience (both as an interviewee and interviewer) prior to GitHub was extremely formal and restrictive, as might be expected of a state agency. GitHub’s process couldn’t have been more different; it was refreshingly open, honest, and relaxed. This shouldn’t, however, be confused with an easy interview process. GitHub’s process involved multiple video interviews, phone calls, hands-on exercises, and a marathon (for someone new to the public sector world) in-person interview with both technical and non-technical personnel. None of these steps were cake, though I enjoyed every one and learned a lot during most of them as well. The most fascinating part of the process for me was that each conversation was a two-way street. Not only were my interviewers genuinely interested in my input on challenges they faced at GitHub, but I was able to share some of my own challenges, receiving meaningful input in return. I walked away from many of the conversations with valuable lessons learned and as a better professional, no matter the outcome. That’s a neat feeling, and the further I got into the process, the more I realized that sort of welcoming openness was endemic to GitHub’s culture. Everyone I’ve met so far has been wonderful and despite the length of the process and the inherent stress of any interview situation, I have enjoyed the process enormously. Fortunately, I walked away with more than just lessons learned! So where do we go from here? I’m presently suffering from an enormous case of imposter syndrome. The professional challenges involved in moving to GitHub are not insignificant. The environment is a complete 180 from the one I’ve just spent a decade operating in, save some philosophical similarities. Additionally, I’m going from a very broad infosec role that included engineering, architecture, policy and compliance work, and only some IR work, to a more specialized role that will primarily handle IR. I will need to learn, or re-learn, a lot of new things both technically and in terms of business process. 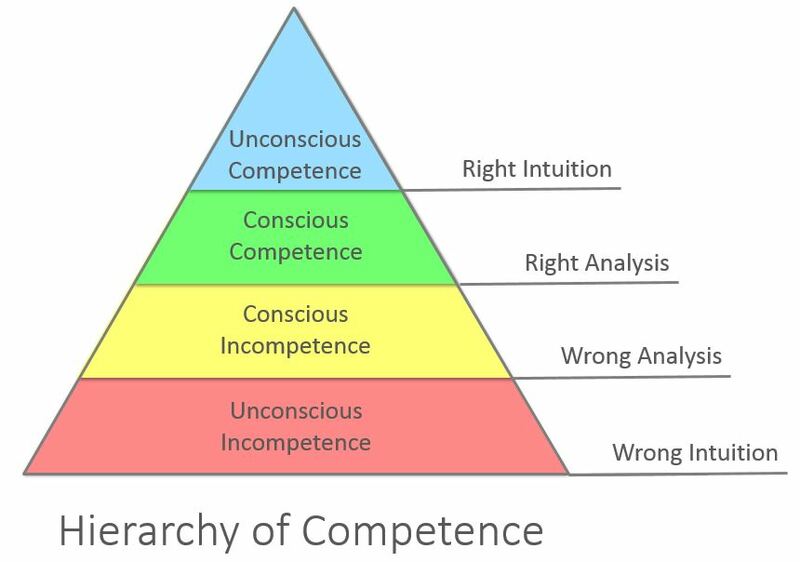 The near term will be dedicated to getting to know GitHub, building or rebuilding DFIR-specific skills, and moving back up Burch’s hierarchy of competence in an effort to defeat imposter syndrome and be a more effective incident responder. Increase the quantity and quality of reading I do. My masters degree sort of killed my desire to read a few years ago, which is a shame. I was a voracious reader prior to that experience, and I believe I need to read more to further my personal development. To this end, I am pushing more of my reading, including blogs/RSS, to my kindle and trying to read away from a PC. This has the side effect of better quality sleep, as I tend to read in the evening and less screen-time will help. Tackle Python and eventually tinker with Go. I will likely never be a great writer of code; it simply doesn’t come naturally to this liberal arts major. I have to work really hard at it, and I honestly don’t enjoy it all that much. That said, I want to reach a point where I establish a reasonable level of fluency and I’m capable of better communicating with those who do write code well. Duh. I’m thirty now and I need to be in better shape. I’ve got a couple of awesome kids to be healthy for and I want to feel better too. I’d like to ride a bike a couple times a week and also go back to some weightlifting. I was seriously burnt out over the last couple of years. My kids are growing up fast and I want to enjoy this time. My oldest is getting into computers, gaming, and shares my love of military history (win!). My youngest is a stout-hearted wild-child that brings me equal joy and trepidation by way of a risk-taking sense of adventure. Both are bright, curious, adorable, and deserve more of Dad’s time. I originally planned to begin speaking this fall or winter, but in light of the new challenges I’m taking on, I’ve decided to spend a little more time absorbing/observing and begin speaking next spring/summer. Nonetheless, it’s on my agenda. Thanks for tagging along for this wild ride. I look forward to sharing more of my journey as I take on new challenges at GitHub. For now, off to GitHub HQ! As always, feel free to reach out to me @swannysec with your feedback!